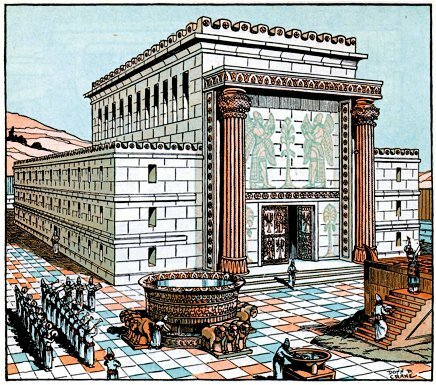 The First Mystery - The Building of King Solomon’s Temple. Meditate on the Wisdom of Solomon and the Presence of God within the Temple. On the Pater bead - Our Father … etc. On the Aves - The Angelic Salution "Hail Mary full of grace, the Lord is with Thee, blessed art Thou among women and blessed is the fruit of Thy womb Jesus. Holy Mary Mother fo God pray for Sinnes, now and at the hour of our death. Amen." Thy holy Resurrection for by virtue of Thy Cross joy has come to the whole world. Amen." Meditate on the humility and purity of the Holy Lady Mary, Ark of the Covenant and Seat of Wisdom who Herself became the Temple of the Most High. 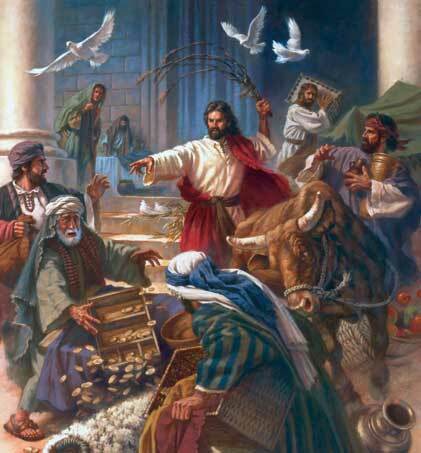 Mediate on the strength of conviction displayed by Our Lord as he cleansed the Temple. Serving God is often difficult and sometimes counter-cultural. Meditate on our Templar forebears who fought long and hard to retain and maintain the Holy Places, for the Glory of God, in the service of the Church. Holy Saints and Martyrs of the Temple pray for us. St Mary Magdalene pray for us. St John the Evangelist pray for us. St John the Baptist pray for us. St Joseph of Arimathea pray for us. ​St Jacques De Molay pray for us. Our Lady of the Temple pray for us. 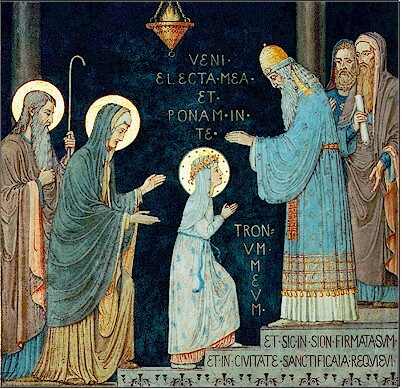 O ever glorious and blessed Virgin. + Amen. 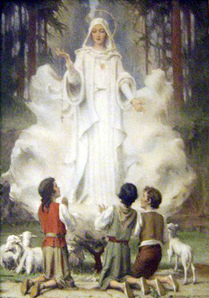 ​Most Holy Virgin, who has deigned to come to Fatima to reveal to the three little shepherds the treasures of graces hidden in the recitation of the Rosary, inspire our hearts with a sincere love of this devotion, so that by meditating on the mysteries of our redemption that are recalled in it, we may gather the spiritual fruits and obtain the conversion of Muslims to the Christian Faith, for the greater glory of God, for your own honor, and for the good of all people. Amen.